In the latest instalment of our inspirational entrepreneur series, we spoke to Ben, one half of the Theopanous barbering duo, about their family business, London Barberhood. Founded by fourth-generation barber duo Ben and Kris Theopanous, London Barberhood is a Brixton-based barbershop with a difference. Encapsulated in their slogan, ‘traditional barbering reimagined’, the pair plan to bring back the community spirit and shop values of traditional barbering but with a contemporary twist – offering everything from a hot-towel shave to a hair tattoo. I was working in marketing and Kris had just founded his own mobile barbering business. As cousins, we had always wanted to start a business together and found that we have the perfect blend of skills to complement each other. We are fourth-generation barbers: from dads, grandads to great-grandads! We are also teaching our nephew and cousin! It’s truly a family business. Why are you ‘more than just a barbers’? Our concept is 'community-inspired, traditional barbering'. We want to bring back the traditional barbershop and the values it stood for in the community. We are running community-led programmes and events from the shop, from apprentice and work-experience programmes to collaborating with art colleges. We are running community-led programmes and events from the shop, from apprentice and work-experience programmes to collaborating with art colleges. We want to have a creative space for all the community to see and get involved with. We are based in Pop Brixton, which has community ideas and activities front and centre, so we had to get involved in such a great idea. What training or qualifications do you need in this trade? Committed and no-nonsense fathers! Either that or diplomas from barbering colleges will do! What three tips would you give to aspiring barbershop owners? People will constantly tell secrets and problems to their barbers! Areas with high footfall will cost more, but are really important to keep a shop busy and staff happy. There are lots of barbershops out there. Think about what will make your service different. 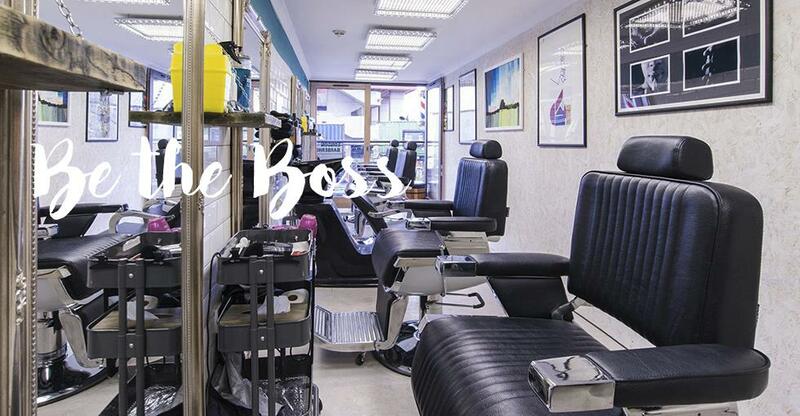 Find out more about running a barbershop in our spotlight on the sector.